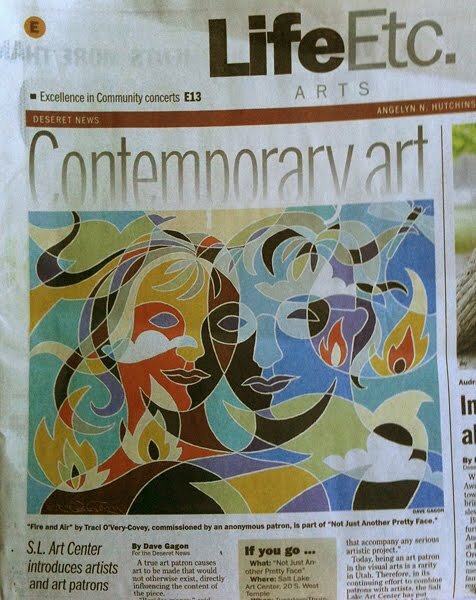 My art was recently featured on the cover of the Art section of a local newspaper. What a pleasant surprise! The gouache painting shown was a portrait commission I did for the Salt Lake Art Center’s exhibition “Not Just Another Pretty Face”. 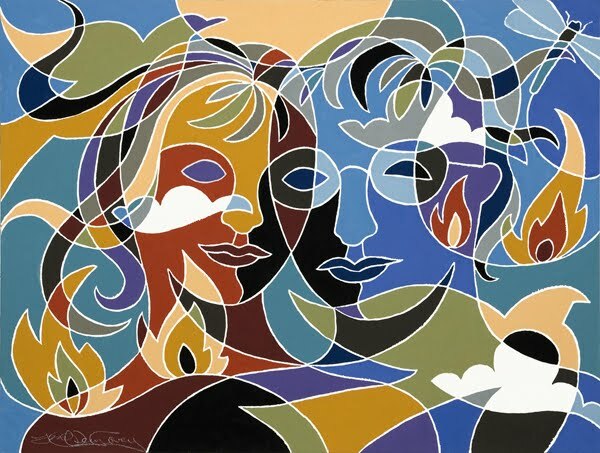 The patron was inspired by one of my paintings of natural elements so the portrait portrays the elements of fire and air which are based on the couple’s individual astrological signs. The Salt Lake Art Center invited artists to participate in the commission process by holding art salons last winter where artists and potential patrons of contemporary art could meet. I thoroughly enjoyed creating the gouache painting “Fire & Air” for my patron and look forward to accepting other commissions. Please contact me if you’d like to commission a painting. 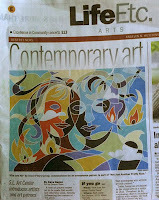 The exhibit has been on display since June 5 and will be ending this weekend on July 24, 2010.